Big 3 Consulting – Big 3 Consulting is an executive search firm specializing in the permanent placement of sales and marketing professionals in the software and technology industries. Big 3 Consulting is an executive recruiting firm dedicated to providing a Return on Investment (ROI) to both software professionals and employers in the software and technology space. Our mission is to create employment situations benefiting both the employer and the potential candidate. Big 3 Consulting, founded in 2003, is an organization hired by software vendors, on a national basis, to identify candidates who are considered the best of the best. The common denominator with these organizations is that they refuse to hire anyone but the top twenty percent of performers in the industry. We understand the intense battle that companies face in acquiring the finest talent. 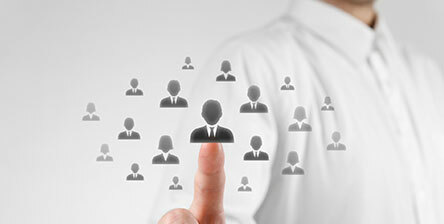 It is our objective to provide access to the talent that companies could not otherwise locate. Our value comes from our approach to the recruiting process. We provide access to top performers. The staff at Big 3 Consulting are the epitome of integrity and professionalism. I have trusted Big 3 for many years to provide qualified candidates. The have also helped place me into a position that provided growth & upward mobility at a critical point in my career. Big 3 takes the time to understand their clients, their culture, and their objectives, and, a result, they consistently produces outstanding candidates. Big 3 Consulting has few peers, if any, that can match their level of performance and value.